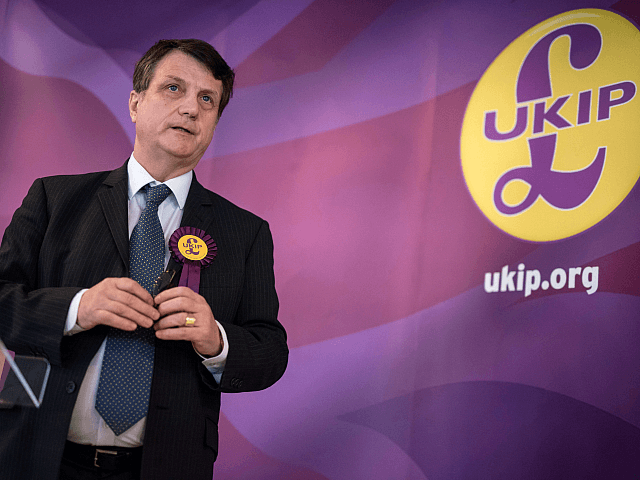 “She [Theresa May] should not take the next five days off – she should take the rest of her career off!” UKIP leader Gerard Batten told Breitbart London on Tuesday morning. On Monday night, Mrs May bowed to pressure and accepted four amendments from Brexiteers to a key piece of legislation, including one aiming to block her plan to lock the UK in a customs deal with the European Union (EU). However, the pro-Brexit vote was met with an immediate anti-Brexit rebellion, attempting to block the amendments. Mrs May won the vote on the amendments by just three votes, with opposition from Labour and pro-Brussels Tory MPs, and now her government is rushing to send MPs away from Parliament, it is claimed, as rumours of a potential revolt or leadership challenge build. Mr Batten added: “Ordinary working men and women of this country – who have to suffer from poor public services, huge housing costs, and child care, and have to watch this government fail in its ability to deliver the Brexit they voted for – will be looking at this government in contemptuous dismay. Mrs May’s convoluted Brexit plan, with the UK tied to all EU rules on goods and agriculture, has been called “the worst of both worlds” and is opposed by MPs from across the political spectrum, and on Monday night the Labour Shadow Chancellor accused her of pushing for the early holiday to avoid resistance and accountability. John McDonnell tweeted: “Government’s plan to close Parliament on Thursday and send MPs home early for summer is because Theresa May is fearful of Tory MPs hanging around plotting against her. The 60-strong European Research Group of Tory MPs, led by Brexiteer Jacob Rees-Mogg, backed the amendments. Those who rebelled and voted against them included Dominic Grieve, the former attorney general, and Anna Soubry MP.